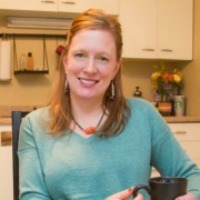 Creating and building a community to support you in your journey to freezer cooking. Find advice, tips and more. 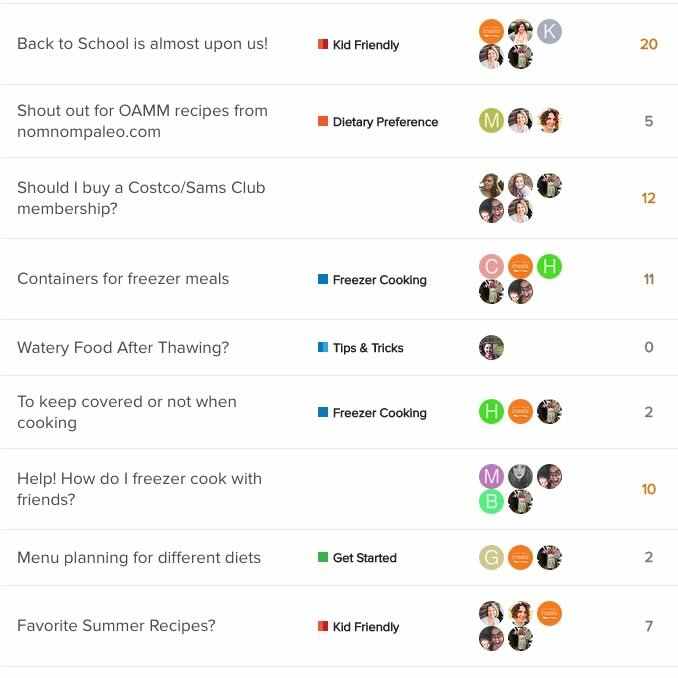 Engage with other freezer cooks. Tell us your story & experience. We know all too well the investment it takes to make a freezer cooking day actually happen. We’ve experienced how helpful it is to have the camaraderie of friends who are working toward the same goal. The best way to make these days happen is by doing it TOGETHER! 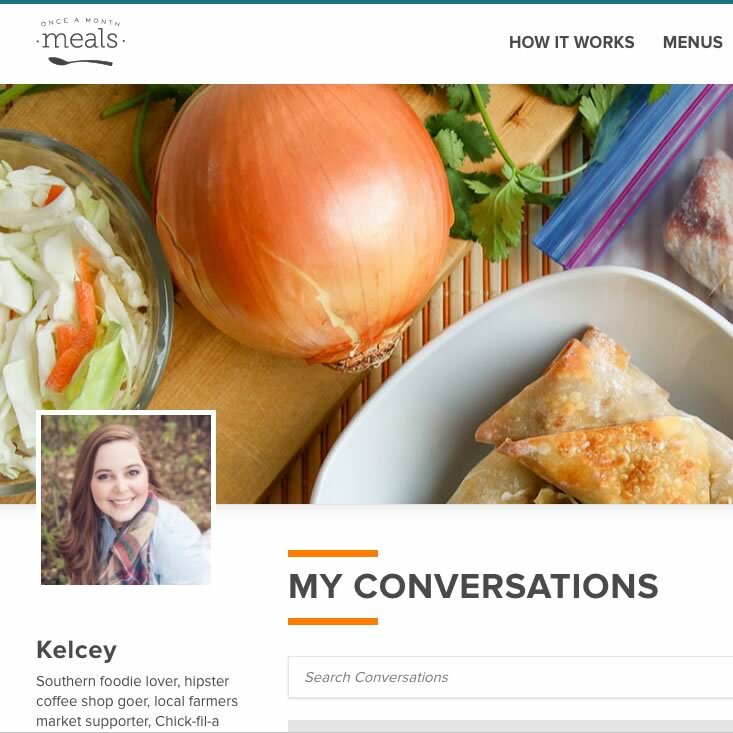 The Once A Month Meals Community is quite literally a place for our Once A Month Meals members to find and build community. It’s as simple as that! We want you to search, connect and share your love of freezer cooking with us, and more importantly, with each other! So join us, and join together with cooks from around the country, and globe as we freezer cook! 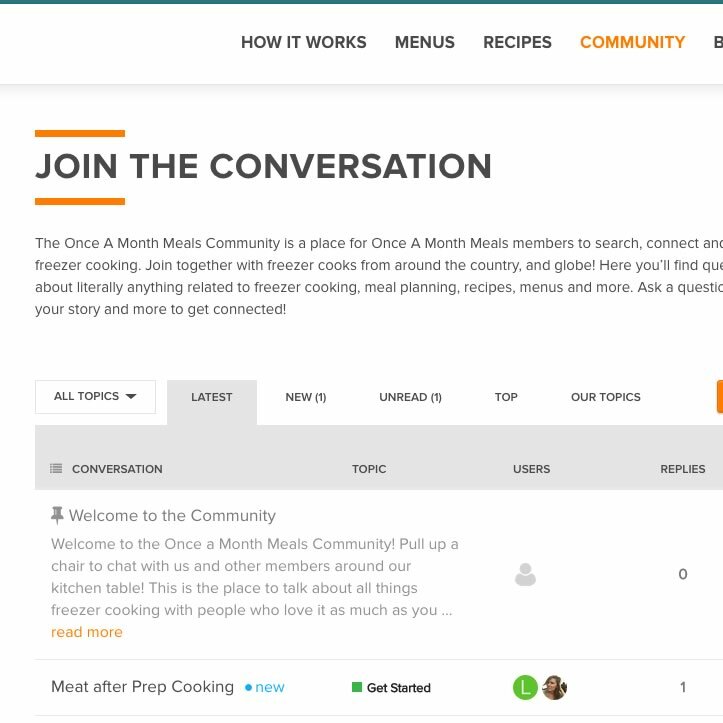 In our Community you’ll find questions, answers and advice about literally anything related to freezer cooking, meal planning, recipes, menus and more. 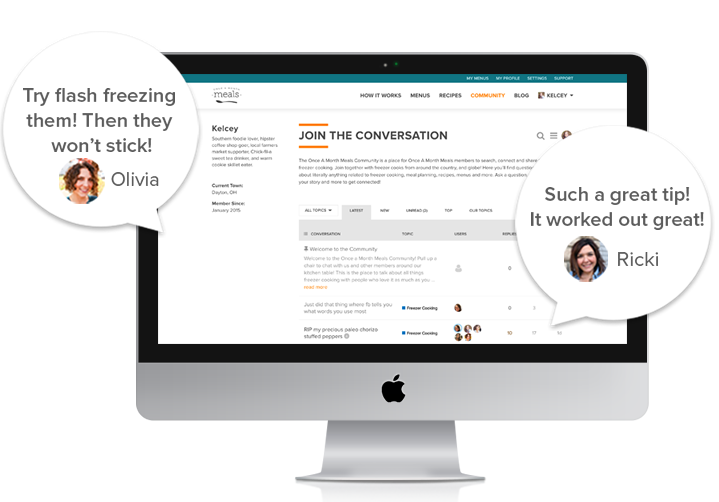 Ask a question, give advice, share your story and more to get connected!